Holy star studded presentation, Batman! Yoko Ono, Alicia Keys and Olivia Harrison not only represented some beloved long lost Beatles, but they also delivered up the night's highest honor of Album for the Year to wait for it.... Daft Punk for Random Access Memories! Obviously, Daft Punk didn't take off their helmets or even speak (they are robots, after all), but their mere presence on stage was enough (we think). We have to say we were a little shocked, we thought it was it Taylor Swift's year to once again bring home the gold. We can't be too upset for Tay Tay though, contending against big hitters like Daft Punk and relative newcomers like Macklemore, our girl had a tough go at the 2014 Grammys. I mean, Swifty had to face off against competitors like Sara Bareilles and Kendrick Lamar, too, and that's no easy feat. We're happy that Daft Punk took home the golden gramophone — they did put out their best album in years and we're happy to see that the Grammys aren't always so predictable. 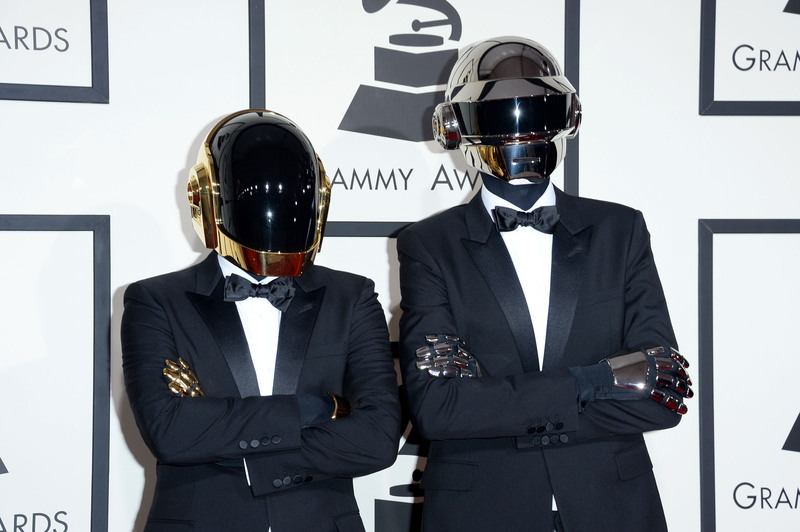 Congratulations to Daft Punk on their win and to all of the nominees! As for Taylor, well, she seemed just as surprised as we are that her name wasn't called. Oof.